The man who killed his ex-girlfriend then led authorities on Maine’s longest manhunt and a murderer who left two dead and others wounded after a two-county rampage have asked the state’s high court to reconsider their cases. 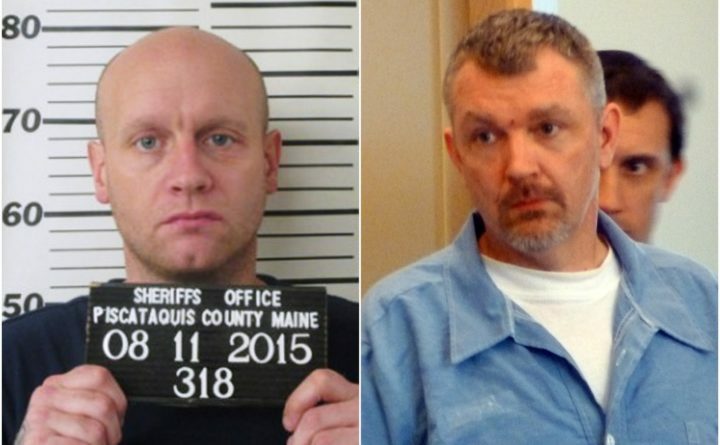 Robert Burton, 41, of Abbot is serving a 55-year sentence at the Maine State Prison in Warren for killing Stephanie Ginn Gebo, 37, of Parkman after breaking into her home more than three years ago. A jury convicted him of murder in October 2017. Burton, who turned himself in Aug. 11, 2015, after 68 days on the run, is seeking a new trial. He claims the jury should not have been told about two prior convictions for burglary. He also argues that potential jurors should have been able to answer “unsure” on some questions, and his attorneys’ proposed questions should have been included on forms filled out by potential jurors. Anthony Lord, 38, of Crystal is challenging the way his two life sentences were imposed after he pleaded guilty to murdering Kyle Hewitt, 22, of Benedicta and Kevin Tozier, 58, of Lee; shooting and wounding Kim Irish, 57, Clayton McCarthy, 57, and Carlton Eddy, 52, all of Benedicta; and assaulting Kary Mayo, 40, of Silver Ridge with a hammer during a rampage in July 2015. Lord also is incarcerated at the Maine State Prison in Warren. The Maine Supreme Judicial Court heard arguments in both appeals Wednesday morning at the Cumberland County Courthouse in Portland. Jeremy Pratt of Camden, who is handling Burton’s appeal, told the justices that jurors should not have been told about his client’s criminal history, especially since he took the stand in his own defense. Burton claimed he acted in self-defense. “Your concern is that because he has previous convictions for burglary the jurors would assume once a burglar always a burglar?” Justice Ellen Gorman asked. “By allowing in the evidence of Mr. Burton’s prior convictions for burglary, it set the jury up to disbelieve his testimony,” the attorney argued in his brief. But Chief Justice Leigh Saufley said that the judge allowed only two of Burton’s nine burglary convictions to be admitted. “Why is this wrong?” she asked. “Because the rules weren’t applied consistently,” he replied. He also told the justice that including “unsure” as a possible response rather than just yes or no on written questionnaires would allow attorneys to determine which potential jurors should be questioned more thoroughly about their views. Justice Donald Alexander disagreed, noting that jury selection in murder and other high profile cases already is lengthy, taking anywhere from two days to a week. He said that more questioning of potential jurors would discourage people from participating in the process. Meanwhile, Lord’s attorney, Andrea Manthorne of Portland, argued that Superior Court Justice Ann Murray should not have sentenced him to two concurrent life sentences because the murders were separate incidents. Manthorne said the state supreme court’s 1990 decision in State of Maine v. John Shortsleeves should not have been applied to Lord’s case. That decision laid out seven conditions under which a judge may send a convicted murderer to prison for life. They are premeditation; murder accompanied by torture, sexual abuse or other extreme cruelty; murder committed in a penal institution by an inmate; multiple victims; murder of a hostage; a previous murder conviction; or the murder of an on-duty law enforcement officer. One or more of them must exist for a convicted murderer to be sentenced to life. Assistant Attorney Donald Macomber disagreed with Manthorne’s argument. Manthorne argued in her brief that it did matter. She said that Murray went too far in determining what sentences to impose for the murder convictions. David Bate of Bangor recommended at Lord’s sentencing that he serve 40 years in prison. There is no timetable under which the justices must issue a decision in either case.